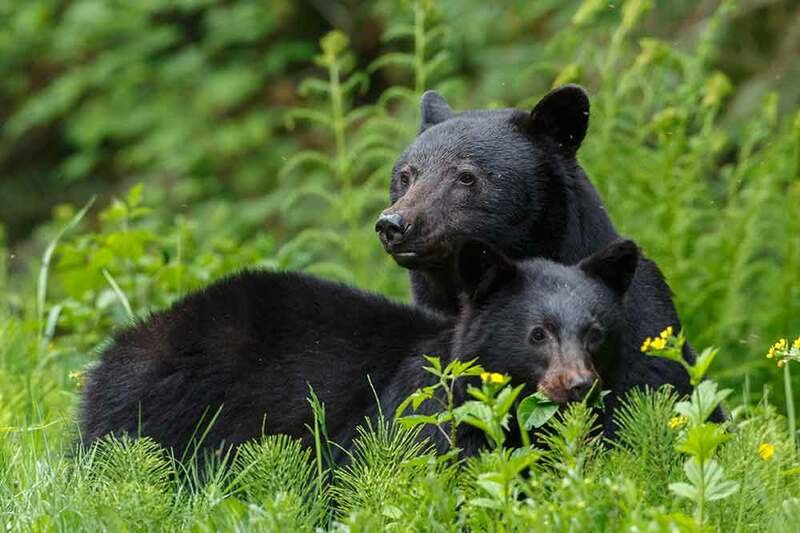 As a young black bear, my mother taught me to forage and hunt for my food. She taught me which foods were available in all the different seasons, where to make a den for the long winters, and which areas to avoid. We lived in the forest with the tallest pine trees you can imagine. As a small cub, the trees were my safe place. From here I could see any danger that may have been approaching. We also had a huge stream in our territory that I loved to jump and splash in and catch some tasty fish. One day in late summer, while we were trying to bulk up for winter, my mother showed me somewhere new to get some food. It was somewhere I had never been before and all the sights and sounds were fascinating. We cautiously left the forest and headed for a large, smelly container of some sort, I didn’t know it then but this container would forever change my life. My mother, using her big strong paws, tipped the container over and out spilled the food. It was wondrous. No searching for hours, no coming up empty handed from the stream after a day of fishing, just wonderful food right there for the taking. It was just as we were finishing up that I heard a noise behind us. Before I could even move there was a large boom. I ran as fast as I could to the nearest tree and climbed faster than I have ever climbed. When I looked back down I couldn’t find my mother anywhere. I called and called but she never came back like she usually does. In a panic, I went back to where I saw her last. I saw the big container still knocked over but no mother. I was just turning around to leave when I heard a noise again but this time there was no boom and there was no running away. I had been trapped. My story is all too common in the lives of black bears around the country. Maybe you have had a bear in your yard eating out of your dumpster or heard of this happening to a friend or neighbor. I would like to tell you that it is an isolated incident, that it doesn’t happen very often, but the fact is it does and unless we can work together to try to coexist, we bears will be the ones who suffer. So, you are probably wondering what happens next with me. Well, luckily for me there will be a place that I can go, a place called Wild Paws Midwest Animal Sanctuary. They exist to help animals like me, displaced from the wild and with no other options. Wild Paws will be able to give me a natural space to be a bear. At Wild Paws, I will receive a healthy diet, enrichment to stimulate my wild side, and veterinary care to keep me healthy. With your help, Wild Paws can give me and other displaced bears around the country a second chance to live a wild life. We hope Makwa’s letter helps you understand the need for our organization, and although we are raising general funds on our donation page, we have labeled the donation increments so that you can see how they will help to save a bear like Makwa.